I thought I would take the opportunity of this General Manager's Column to support the 'That's Us' casual racism campaign recently launched by the Human Rights Commission. As New Zealanders we pride ourselves on our egalitarian views. We don't believe in class, and we only feel comfortable treating each other as equals. A firm handshake and direct eye contact is an unspoken signature of our equality. We value modesty and under-statement of success in our sporting and cultural heroes. We bestow honours on those people who excel - but appreciate their discomfort in being called by their title. We play hard but fair, and we think it's important that everyone gets a 'fair shake' regardless of who they are. However as the 'That's Us' campaign will show us the reality is quite different for people who are different. There are numerous examples of kiwis who have been told 'to go home where you came from' - which is pretty difficult to do when you have been born in New Zealand. Casual racism can be thoughtless and it can be unintended, but that makes it no less hurtful. However casual racism can also be indicative of a more deeply held prejudice not held in check, and which has potentially longer term harmful impacts on the lives and opportunities of some New Zealanders and on our society as a whole. I have referred in an earlier column to a collection of stories that are very powerful examples of this. Migrant Journeys - New Zealand Taxi Drivers Tell Their Stories recounts the journeys of people who have come to New Zealand for a better life, but in many cases, were unable to get opportunities to demonstrate their experience or skills, or to use the qualifications they came with. In many of the stories in this book the migrants are philosophical about this experience of exclusion, preferring instead to focus on creating the best possible opportunities for their children. An example of the harm of more deeply held prejudice is when children born in New Zealand to parents who were migrants, who have gone to school and university in New Zealand, and who are fully qualified, are not able to obtain work, or work commensurate with their qualifications. The personal harm of this experience of exclusion is obvious. However the harm to the fabric of our society is intangible but significant, and it is inter-generational. The Office of Ethnic Communities has commenced an exploratory study in partnership with the Centre for Applied Cross Cultural Research of Victoria University and the Federation of Islamic Associations of New Zealand. We are bringing young New Zealand Muslims together with the aim of developing a better understanding of their experiences of inclusion or exclusion. It is important that the advice the Office provides to government on the issues for ethnic communities is evidence based - and this study is as small step to build this evidence. In that sense this study is a partner to the important work of the 'That's Us' campaign. Since its beginnings in 2003, there have been more than half a million calls to Language Line to get telephone interpreting sessions. That means many more individuals and families have been able to overcome the language barriers to access the services they need. Applications for the Office of Ethnic Communities Ethnic Communities Development Fund are now open and close on 27 September 2016. There will be one funding round a year. The Ethnic Communities Development Fund replaces what was previously known as Settling In Funding. The Ethnic Communities Development Fund distributes $520,000 each year to community organisations for initiatives that increase awareness and understanding of their ethnic community, or to promote leadership and social cohesion. Information about this new fund is available online. As a contribution towards the Healthy Christchurch Initiative, the Office of Ethnic Communities hosted an informal lunchtime seminar on 10 August at the offices of Community and Public Health. The Healthy Christchurch initiative is a Canterbury District Health Board led intersectoral collaborative partnership based on the WHO Healthy cities model which promotes the idea that all sectors have a role to play in creating a healthy city. The Department of Internal Affairs is one of the 217 Healthy Christchurch signatories. Attendees at the seminar ranged from local and central government agencies and Non-Government Organisation’s representing a range of social services. The availability of the Office of Ethnic Communities support for Intercultural awareness training , telephone interpretation (Language Line) and Christchurch based community engagement support generated robust discussion around the tools and knowledge available to improve the access of ethnic communities to mainstream health services. 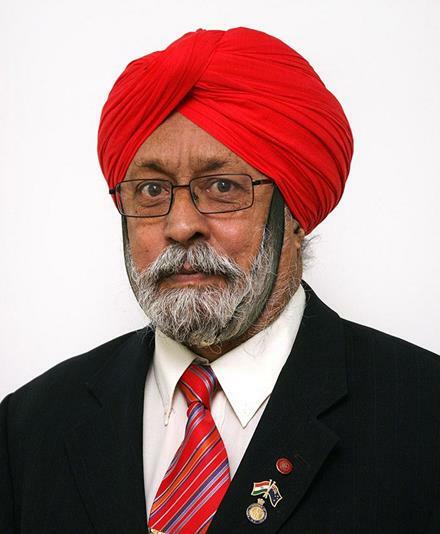 Ganges Singh supported the Office of Ethnic Communities from its early days when it was established in 2001. He was a strong advocate for the Office and brought immense knowledge about the ethnic sector, particularly the Indian community in various discussions and meetings with the Office. 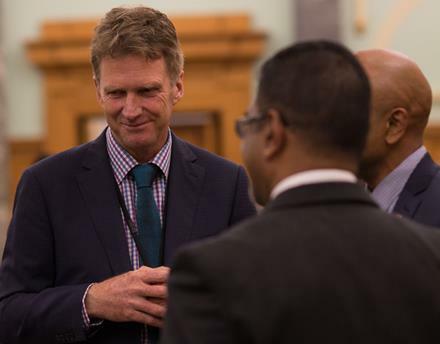 He attended the last leadership road show that the Office held in 2014 in Auckland and showed strong support for the work we are doing for the ethnic communities. Ganges passed away on Sunday after a brief illness. He was a kind and passionate man. He cared about his family and community and will be missed. The Office of Ethnic Communities will remain grateful for the services he provided for ethnic communities. Our hearts go out to his family and the community. Focusing on Connecting, Learning and Developing, approximately 100 people attended this half-day forum, including migrant entrepreneurs, representatives from relevant business associations and supporting government agencies. This forum was jointly sponsored by the Office of Ethnic Communities (Settling-In Fund), Whau Local Board, Auckland Tourism, Events and Economic Development (ATEED), and ANZ Bank. A variety of topics were discussed which were related to business and employment for migrant business owners. Speakers from business supporting agencies such as Accident Compensation Corporation, Auckland Tourism, Events and Economic Development, Inland Revenue Department, Ministry of Business, Innovation and Employment (MBIE), Rosebank Business Association, responded to questions regarding Safety and Health issues, Taxation, start-up business and government funding, and also security concerns from migrants’ enterprises. The forum provided excellent opportunities for the migrant business entrepreneurs to gain relevant business information, regulations, build connections with business agencies and other business owners. Amidst loud cheers, applause and music, the occasion was celebrated with great enthusiasm. 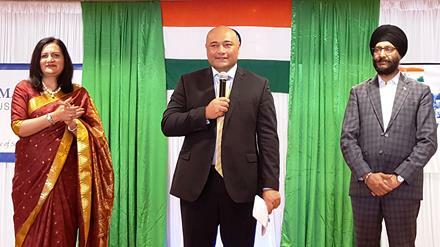 More than 150 members from the Indian community turned up on the day to watch the flag hoisting ceremony followed by a colourful cultural programme that awed the audience. Honourable Peseta Sam Lotu-Iiga, the Minister for Ethnic Communities attended the function as the guest of honour and congratulated the audience on this auspicious day. 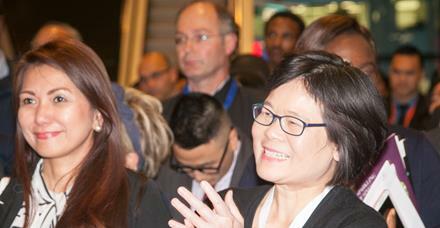 The theme of the Hui was “where we were, where we are now and where to from here”. Drawing on his own extended family’s past experiences, the Minister reflected on “where we were” by alluding to the trauma caused by the “dawn raids” which were carried out by specialist Police task forces during the mid 1970’s and late 1980’s. These raids took place randomly at the homes and work places of Pacific Islanders, mainly in Auckland, in an effort to find and detain illegal over-stayers whom the government saw as negatively affecting the New Zealand economy. These events were highly criticised by human rights groups and severely damaged race relations within New Zealand, bilateral relations between New Zealand, Samoa and Tonga and New Zealand’s standing with the South Pacific Forum. The Minister noted that the future “the where to from here” should be built on a foundation of trust which requires active community engagement, and intercultural understanding. “Moving to live and work in a new country involves finding out a great deal of information that locals simply take for granted. New Zealand organisations are very good at providing that information, however the information provided is not always written or presented in the most user friendly way,” says Judi Altinkaya, Immigration New Zealand’s National Manager, Settlement. Keeping it Clear aims to address this by providing organisations with tips to follow (and background explanations of these tips) for when they are communicating with people new to New Zealand. “We don’t realise that there are more than 25,000 idioms in the English language and we liberally scatter them through most information. These are extremely difficult for new speakers of English to understand,” Ms Altinkaya says. “They can be the difference between a newcomer acting on information or ignoring it. “Even the Kiwi expressions that we think nothing of, such as “bring a plate”, “box of birds” or “across the ditch” can have migrants, even from other English speaking countries, scratching their heads in confusion. Yeah, Nah… Absolutely! 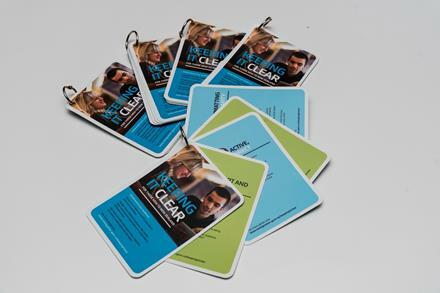 Flip-cards (see image) which summarise the online content are also available – contact dion.mace@mbie.govt.nz if your organisation would like to order some flip-cards. The Editor, who likes to be known only as Gaurav, began his professional life as a mechanical engineer but developed a love of journalism when he stumbled onto an internship with the Indian Express in Gujarat while studying for civil service exams in India. An interview with the chief Minister of the region gave Gaurav an opportunity to tackle meatier stories and he honed his skills further in Singapore as a free-lance journalist where he and his wife lived for 5 years before coming to New Zealand in 2014. 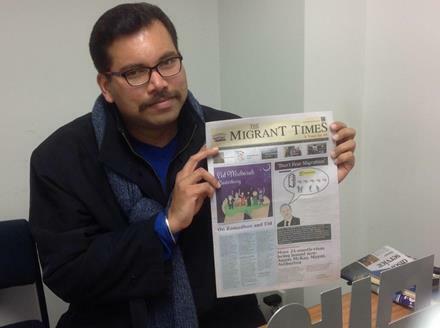 Strongly motivated by an interest in the migrant experience and contribution, ‘The Migrant Times’ favours stories which celebrate culture and promote the social and economic benefits of diversity - a message which Gaurav feels should be more aggressively promoted by the government. To this end the latest edition of the Migrant Times leads with an in depth interview with the Prime Minister John Key - headlined as “Don’t fear Migration”. The web story interview and video can be found in the latest edition on line and here on the print issues. Gaurav has promised to offer other parties and elected officials opportunities to put forward their views on migration in future editions. 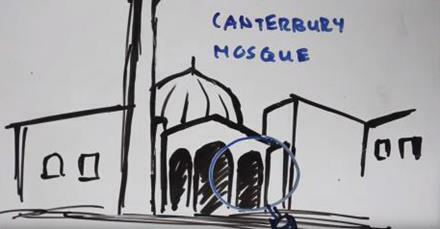 The Canterbury Muslim Community Trust (the Trust) incorporated as a Charitable Trust in order to progress the work begun by the Canterbury Building Bridges Muslim Advisory Group. The advisory group was the regional arm of the Office of Ethnic Communities long standing national Building Bridges Programme which completed two years ago. Since our formal memorandum of understanding with the Building Bridges group ended the Office has been very pleased to see the Trust emerge as an influential and proactive entity which strives to promote excellent relationships between Muslims and the wider community. Active community consultation has enabled the Trust to identify the special needs of Muslims within public facilities such as hospitals, schools and prisons and prompted them to reach out to relevant agencies on these needs. The Trust has also been approached by Civil Defence for advice on faith appropriate emergency support for Muslims and by Tourism New Zealand for advice on the needs of Muslim tourists. Although the Muslim community is highly diverse, with up to 40 ethnicities represented amongst the city’s 3,250 Muslims, the Trust has identified the following overarching concerns; lack of leadership, poor communication and lack of Islamic knowledge. It aims to address these concerns by forging stronger links between people in Canterbury via outreach programmes (which often run in conjunction with the Islamic Women’s Council of New Zealand, the Nawawi Centre and the Muslim Youth Canterbury group). 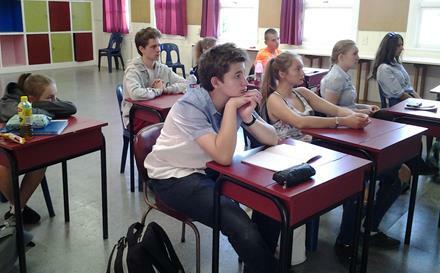 One of these outreach programmes comprises three media training modules developed and delivered by Trust members to the Canterbury Polytechnic Institute of Technology (now ARA) and the University of Canterbury’s Post Graduate programme. The modules were: Introduction to Islam, Women in Islam and the Media and Islam. The feedback from both institutions was very positive. The Trust has allowed the Office of Ethnic Communities to take some small credit for this outreach - as several Trust and Islamic Women’s Council of New Zealand members participated in media training funded by the Office in 2015. This gave them a good insight into the good, the bad and the ugly of the media’s representation and interpretation of Islam in New Zealand and showed them how to craft and manage their own messages within this context. More recently the Office of Ethnic Communities connected the Trust to the University of Canterbury Media and Communication course “Social media and Public Life”. The trust and course supervisor are now in discussions about a collaborative social media project which we hope will further promote the positive contributions of Muslims to Canterbury. Well done the Canterbury Muslim Community Trust! Keep up the good work. For those interested in Language maintenance in Christchurch, we suggest you note the following initiatives in your September calendar. Of equal interest to many will be the professional development workshop being hosted by the Canterbury branch of the Community Languages Association of New Zealand (CLANZ) to help educators improve teaching techniques. Contact anna.filippochkina@gmail.com to register attendance. The Office of Ethnic Communities continues its support for Heritage and Community Language Celebration via our on-line Guidelines. “The first step, that has brought everyone here today, was when a group of us, here in Ross, went tramping in these hills – searching for historic heritage sites of the Chinese and European miners, who lived and worked there, in search of gold” said Biddy Manera, the project manager of Ross Chinese Gold Miners Memorial Gardens, at the official ceremony of laying foundation stone for the Gardens on Saturday 20 August 2016. 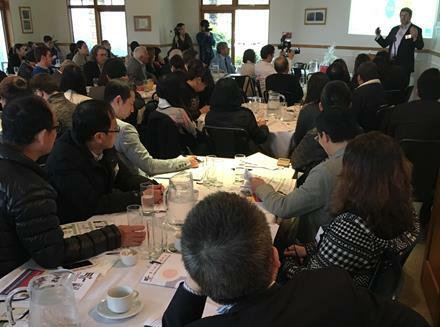 The event is designed to take the first official step of acknowledging the Chinese gold miners history of Ross, which attracted 100 attendees coming all the way from Ross, Kūmara, Hokitika, Greymouth, and Christchurch to attend. With Ted Brennan, as a trusted and patient guide – residents in Ross explored and found sites, which then fed the appetite to find out more. With research, came the names and stories, of some of the Chinese Pioneers who were members of this Community in the late 1800’s and early 1900’s. It has been well recognized that the shared heritage in Ross is important to the community and its future generations. Some of them said that they have a memorial tribute to pioneers and families of Ross, along the Avenue and around the Domain. Simon Tam, probation officer from the Department of Corrections in Greymouth has been pivotal and helpful in establishing the gardens, sharing his knowledge and giving guidance. Support from Westland District Council, Department of Conservation on land parcels, Department of Internal Affairs on advice, and the generous support from the Chinese Community for Garden Features were appreciated and acknowledged. In July, a Chinese couple in Christchurch had raised $18,675 for the project and another successful fundraising event held one night prior to the ceremony, organised by the New Zealand Chinese History and Culture Association, raising $84,000, which now enables the project to progress.